Moshe Safdie seems to be reflecting on his long career these days as well as the more general evolutions in the discipline and practice of architecture over the last five decades. 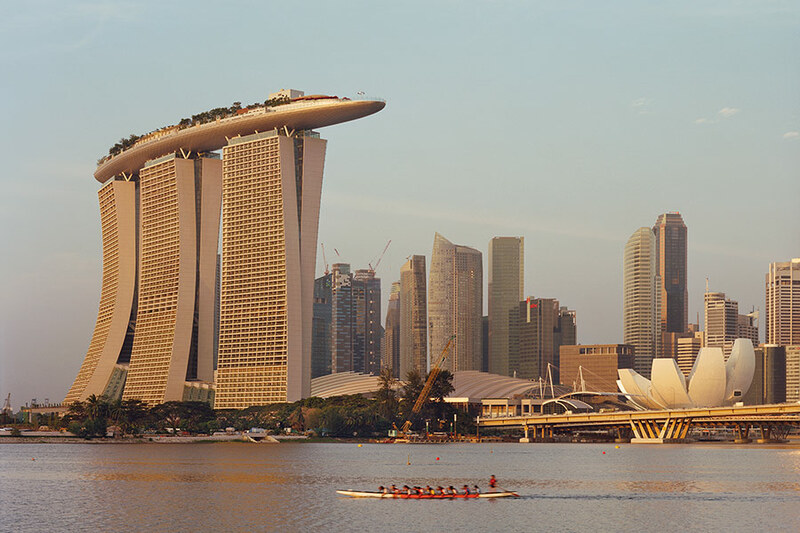 An exhibition of his work entitled Global Citizen: The Architecture of Moshe Safdie is currently at the Crystal Bridges Museum of American Art in Bentonville, Arkansas. Curated by Donald Albrecht, it is the third and final venue after touring two other Safdie-designed projects: the National Gallery of Canada in Ottawa and the Skirball Cultural Center in Los Angeles. In conjunction with the exhibition, Safdie spent the day of June 25th at Crystal Bridges giving an informal talk in the morning in the museum’s glazed restaurant, a gallery tour in the afternoon that included the Global Citizen exhibition, and a more formal and comprehensive illustrated lecture in the evening in the museum’s Great Hall that is a sort of glazed peninsula projecting into the water. The roughly two-dozen projects exhibited in Global Citizen are of varied sizes, types, and scales. While generally global in their geographical distribution, they are located primarily in North America, Jerusalem, and Asia. 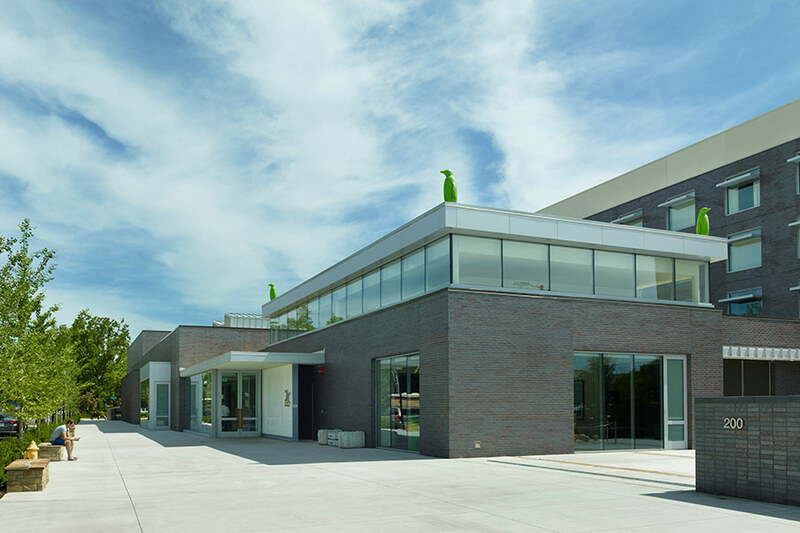 The work is divided into five sections that are dispersed throughout the building. Projects are organized by place and theme rather than chronologically, and visitors discover the exhibition little by little among the works of the permanent collection. 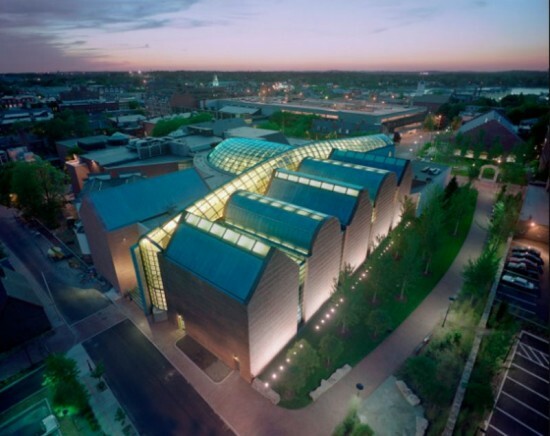 Though somewhat unorthodox as an itinerary it is unlikely that any part of the exhibition will be missed since there is virtually a single, prescribed path through the galleries of Crystal Bridges. 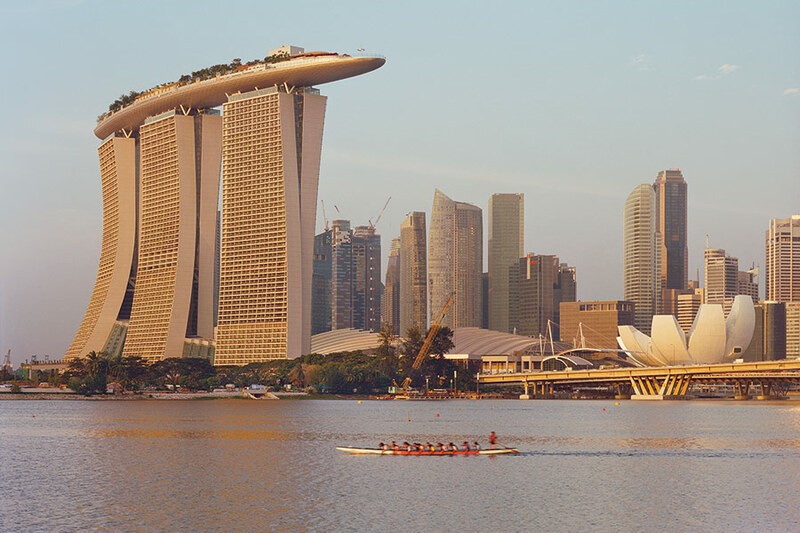 Marina Bay Sands (left). Yad Vashem Holocaust Museum (right). While Safdie believes that architecture is a social art rather than a personal expression, Global Citizen is a personal story that goes back to the architect’s undergraduate thesis project completed at McGill University in 1961. The student design, represented by a model from the period, is a structural frame holding prefabricated living units. 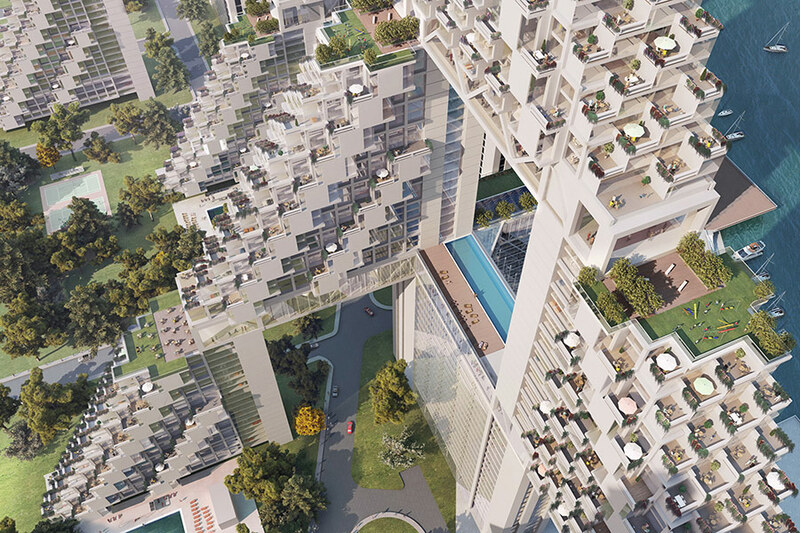 It is an obvious precursor for Habitat 67 in Montreal, which itself appears to be a precursor for much of the work Safdie is proposing and producing today for extremely dense urban conditions in Asia and elsewhere. For the most part, the early work exhibited has not been redrawn or repackaged. It is interesting to see other, slightly later versions of Habitat commissioned for New York, Puerto Rico, and Jerusalem but never realized. It is equally interesting to be reminded that Safdie placed second in the competition for the Centre Pompidou in Paris and to see how drastically the deliverables for an architectural competition have changed since 1971. Safdie was born in 1938 and was only in his mid-20s when he opened his own office to begin work on Habitat 67. He was not quite thirty when the iconic project was completed. These early projects grouped under a heading of “The Shape of Things to Come” suggest that many of Safdie’s convictions related to civic space, density, mixed use, aerial streets, sky parks, etc., were developed early on. Safdie insists on the importance of the client in the making of any good project. 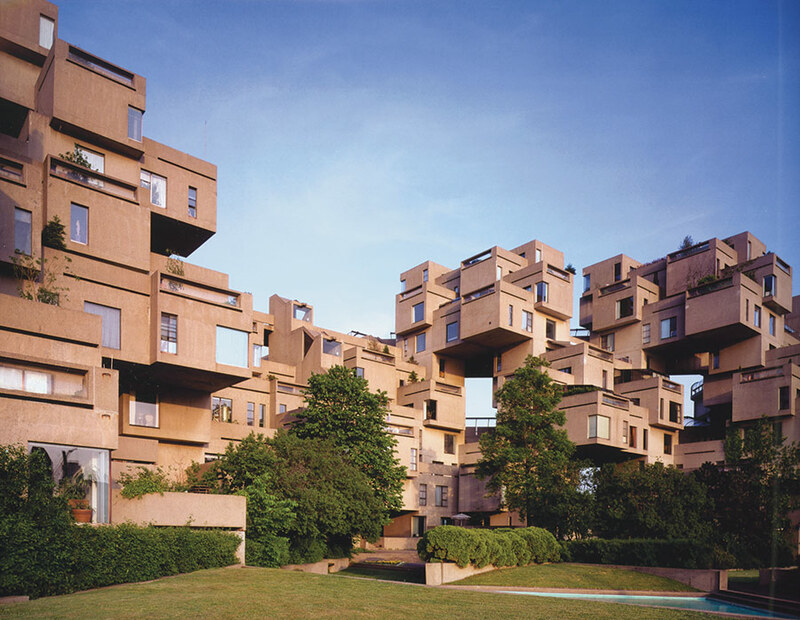 He pointed out that in his early career commissions often came from enlightened institutions and that Habitat 67, for example, was an ambitious joint venture of different levels of government. 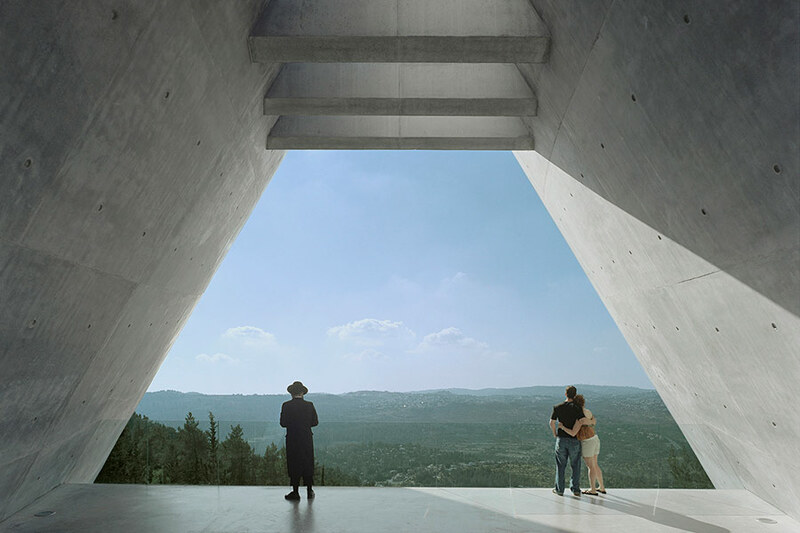 Later projects in Jerusalem, such as the Yad Vashem Holocaust History Museum completed in 2005, are presented as a second phase in Safdie’s career. They are extraordinary, symbolically charged commissions and exercises in design that should resonate with place and purpose. While Safdie continues to work for institutions, many of his clients are now private developers. He noted as a matter of fact that architects have little say in urban regulatory mechanisms today and that in many parts of the globe urban planning is synonymous with “the market knows best.” In this context, architects struggle with the often-conflicting objectives of the market and notions of public good. While accepting the challenge of these contradictions, Safdie seeks clients who, nevertheless, want to create something of significance, program types that he has not previously had a chance to explore, and projects that have a strong probability of actually being built. 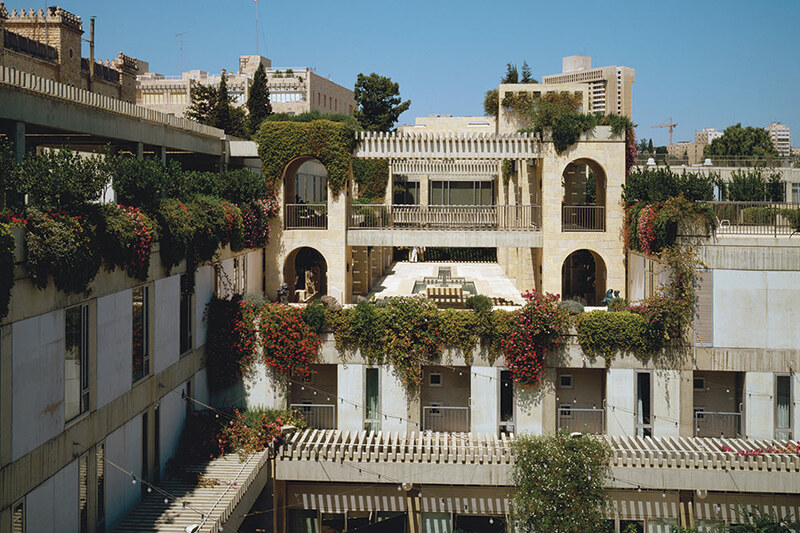 Prior to opening his own practice, Moshe Safdie worked in the office of Louis Kahn. There he was influenced by the elder architect’s drawing style, using charcoal and colored pencils. Over fifty of Safdie’s compelling sketches and sketchbooks are exhibited throughout Global Citizen. Safdie was also influenced by Kahn’s hands-on design approach as well as his synthesis of form and structure. 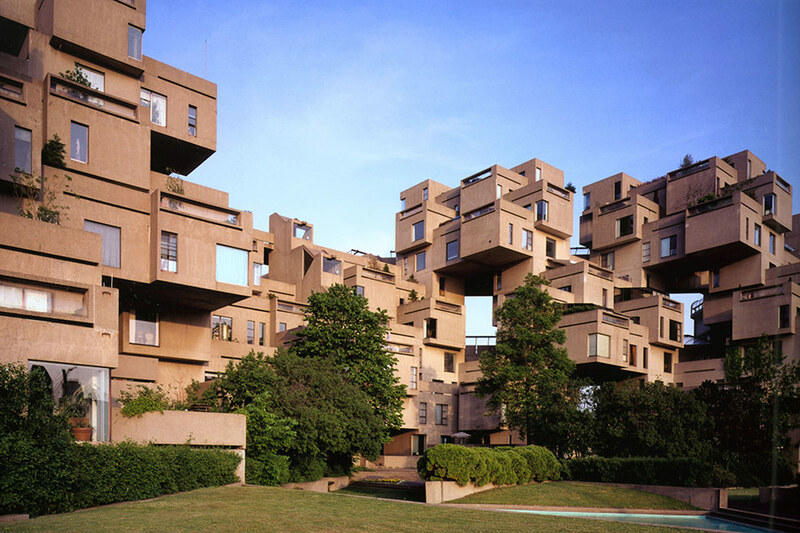 It was in Kahn’s office that Safdie met the engineer August Komendant who later developed the structural design for Habitat 67. (For Kahn, Komendant was the structural engineer for the Kimbell Art Museum in Fort Worth among other projects.) 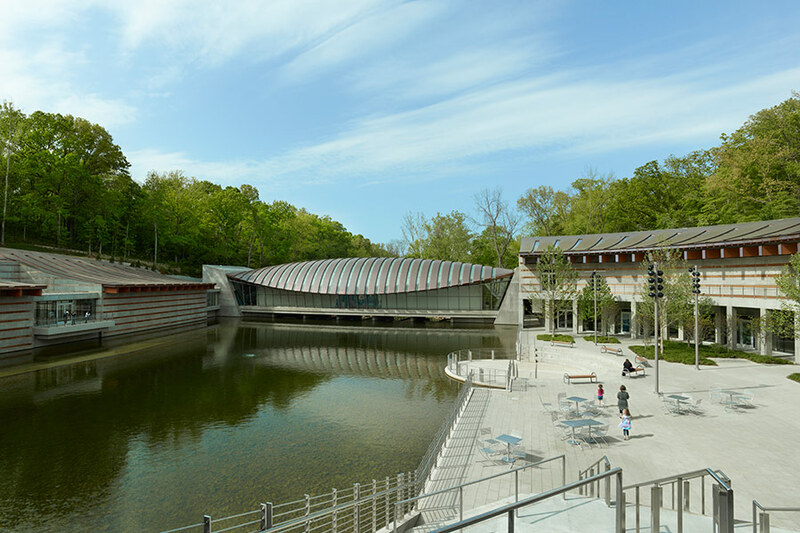 At Crystal Bridges, Buro Happold developed the rich structural solutions for the curved roofs of the pavilions that were inspired by suspension bridges. Safdie says that while little has changed in regard to materials such as concrete, wood, and steel over the last 50 years, significant advances have been made in glass technology, which makes it an appealing material choice for him. At the same time he noted that architectural projects have become more and more complex to realize, and architects often find themselves in a position similar to that of a composer or a conductor. 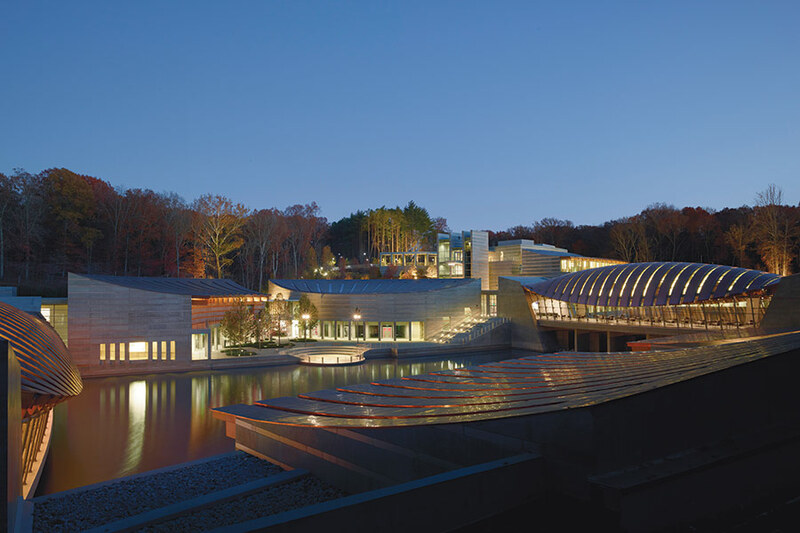 While it does not exemplify the mega density that Safdie sees as a major characteristic of our time, Crystal Bridges is an example of many of his architectural preoccupations. For Safdie, water, landscape, and transparency are a magical combination. The more rural design in Arkansas is driven by its immediate context, and the building sits comfortably in the landscape. 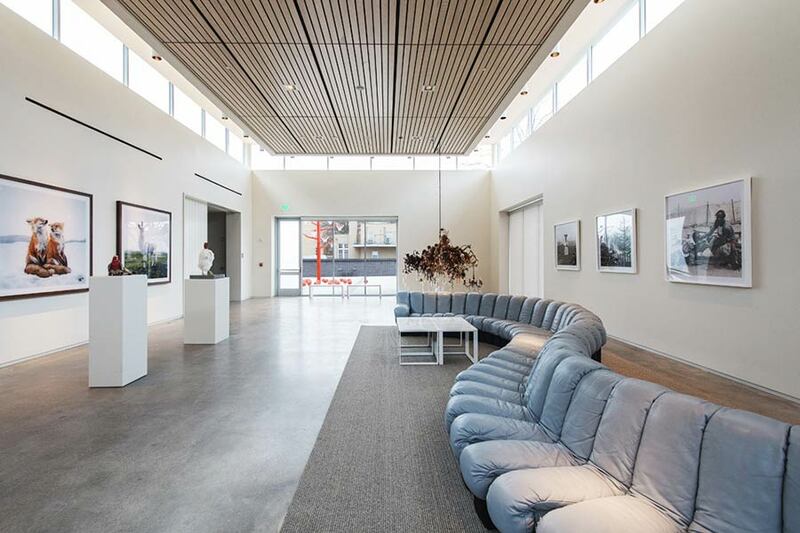 Its gallery spaces, however, appear to be derived from the outside-in and are a less convincing solution. The structure works well again at the level of material choice and details. Safdie’s work in general seems to be somewhat out of step with current tendencies, and in one section of the exhibition he is portrayed as an “outcast.” Arriving in Bentonville via northeastern Oklahoma and Bartlesville, the project can be seen as a sort of “outsider architecture” more akin to that of Bruce Goff. 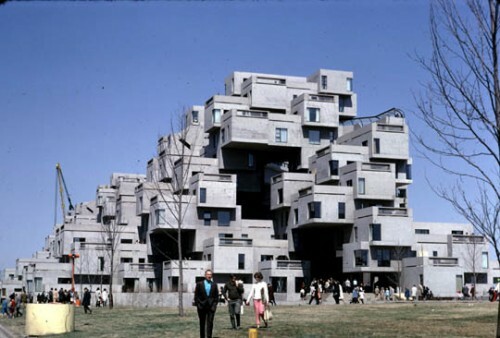 Habitat '67, Montreal, Quebec, Canada. Global Citizen as presented at Crystal Bridges ends with the Marina Bay Sands (2011), a waterfront project in Singapore that is composed of mixed-use facilities at ground level and three 55-story towers that are connected and capped by a linear, three-acre sky-park at the very top of the ensemble. Even friendly audience members at the evening lecture gasped when an image appeared on the screen of the sky-park swimming pool spanning between two of the towers hundreds of feet above the ground. The response was the same for a similar but even larger project still on the boards for Chongqing, China. Such solutions could be considered willful architectural gestures. They are informed, however, by “Habitat of the Future” (2010), a rethinking of Habitat 67 that developed strategies to update the earlier project to make it more efficient, denser, and more affordable. While verging on the extreme, in Safdie’s view such solutions are ethical responses to questions of mega-scale and community. 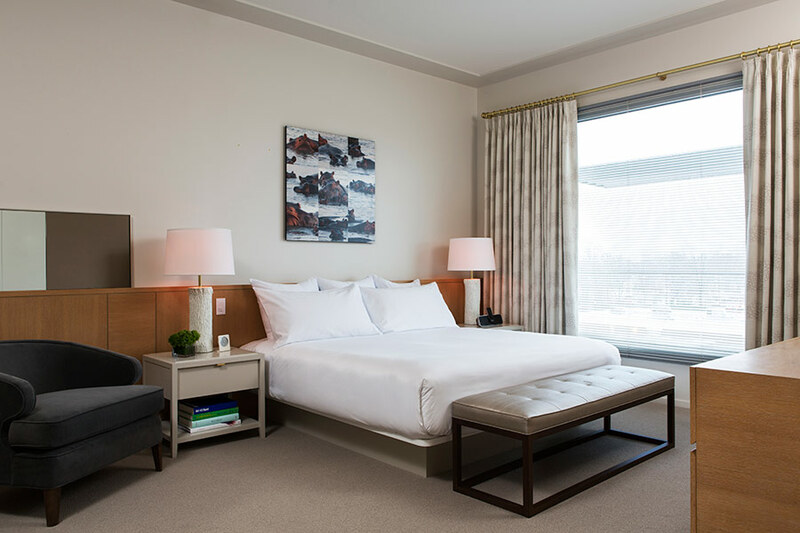 They integrate “urban windows,” for example, in the form of large openings between buildings to connect various parts of the city or to connect the city to natural amenities. Mixed use and multi-level cities are key concepts, and the garden becomes the symbol of wellbeing in very dense environments. 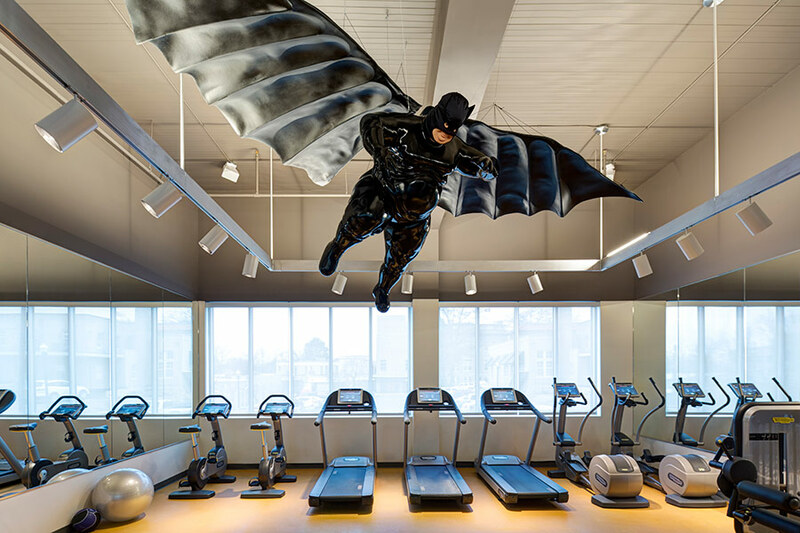 After half a century of practice, Safdie believes that architecture must be fit for its purpose—where fitness should be understood in a more evolutionary and Darwinian sense. For Safdie it is not only the task of the architect to imagine new possibilities, but also a duty to consider what is appropriate. The exhibition at Crystal Bridges presents the architect’s work for the general public through models, photographs, sketches, films, and some drawings. Architects would inevitably like to see more drawings and details, however, to better understand the breadth of the work and of Safdie’s career. Without them, it was informing and a definite advantage to walk through Global Citizen with Moshe Safdie. How often is it that we consider the cultural contributions of this intriguing, ever decimated, and re-succeeding people? Their run—which has taken them from ancient Egypt through the ghettos of old Venice to the oceanic explorations of the 1400s to early human rights advances in Holland—is the story of the Jews. And yet, here today, in America, it is just not cool to be one. Actors wipe the association from their name, architecture’s most famed practitioner works under an appellation he was not born with, and when assigned this review I truncated a word in a book’s title and assumed my editor was referencing the 1970s SciArc cabal of Eric Owen Moss, Thom Mayne et. al. because that had been our recent discussion. When a lush “art book” which featured an intoxicating cover photograph—the glow of hundreds of candles turning darkness into a golden haven—I knew that I was wrong. The volume, Kabbalah in Art and Architecture, sets about to reveal the embodiment of the mystical Jewish teaching within the two avocations. To undertake such an act, author Alexander Gorlin must first establish a basic understanding of the texts, a goal that history has found as perplexing, illusive, and torturous as making art itself. If the late Philip Seymour Hoffman talked about the toll of an artist’s perfectionism and Rothko, who is featured in the book, committed suicide, consider this: Of the four Rabbis who first undertook to study and convey the Kabbalah, only one remained standing, sane, and able to speak of it. Gorlin contends the teachings, which attempt to explain the inner workings of G-d, are rife with allegories, metaphors, or actualities that permeate great architecture and art. Some referenced by their makers purposefully others by accident. Gorlin and the book’s designer organize the volume in chapters each of which first offer an essay that explains a concept or symbol(s) essential to the Kabbalah—citing works, artists, and architects that have employed it (knowingly or not) followed by well-captioned corresponding visuals which range in era from the 1200s to the present day. 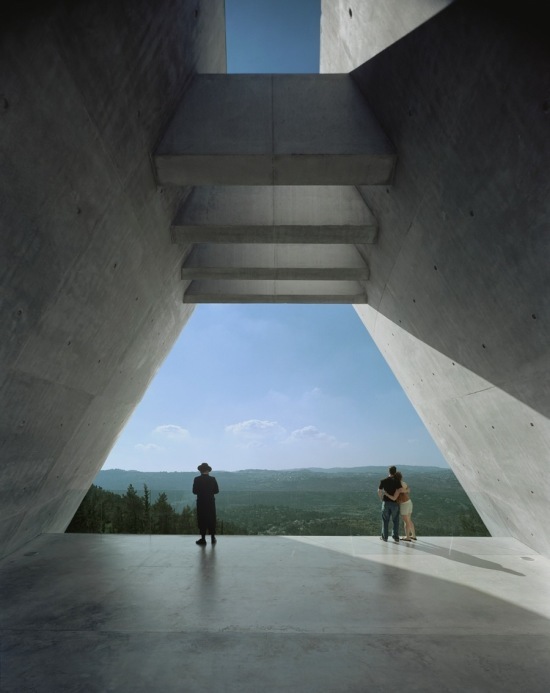 Readers turn a page to find Moshe Safdie’s triangular void which frames Yad Vashem’s harrowing journey through the Holocaust just as the volume releases into a vast expanse: an elegy that momentarily escapes the heaviness of history to enter the vast domain of the horizon. A stream of light reflected in water pierces Louis Kahn’s Salk Institute for Biological Studies at dawn while, presented on the opposite page, a singular white band makes its way through the blue of a Barnett Newman canvas. A third informational type, quotes from the bible or the Kabbahal itself, are intermingled through the exampled images. Sometimes the book doesn’t work. Its essays are difficult, due to its attempt to condense the highly evocative and esoteric into the flatness of language. It is a reminder as to why artists so often prefer to let the mystical remain so. The book is uneven. It is neither systematic in documenting Kabbalah’s direct influence nor a survey of the inadvertent parallels between the teachings and the two fields. In terms of building typologies its emphasis is on places of prayer and memorials, but the art it offers is most often exhibited in secular institutions. It notes the California Light and Space trio of James Turrell, Robert Irwin, and Doug Wheeler but omits the West Coast’s Wallace Berman, whose Verifax collages were drenched in the Kabbalah. 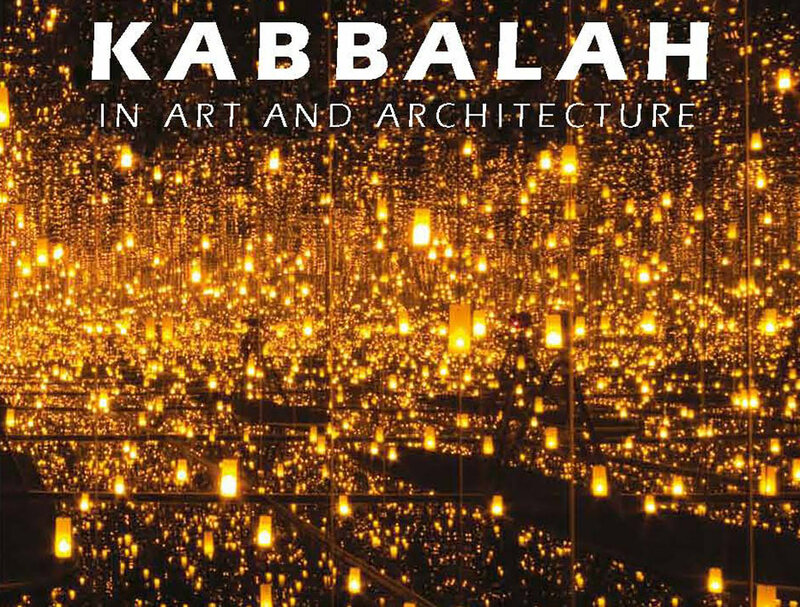 In this, Kabbalah in Art and Architecture has the gravitas of a hardback but can function as an informal notebook, examples selected by the writer for his own reference. Yet, the simple recording of them is important. 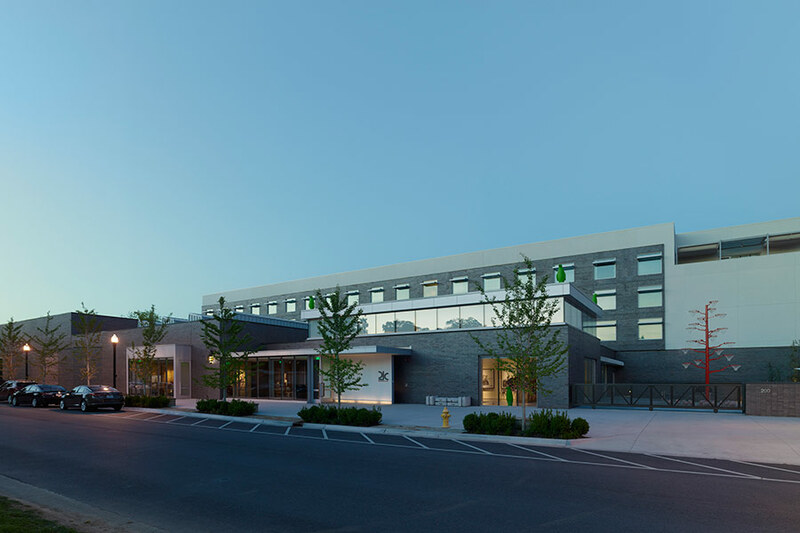 In terms of the specific, for architects it offers a rich collection of places that connect man to G-d. But, considered in its entirety, Kabbalah in Art and Architecture is about universality. Collected under one cover is an ephemeral installation of the British sculptor Andy Goldsworthy, sketches by Frank Lloyd Wright of Temple Beth Shalom, an entire epilogue devoted to Anselm Kiefer and Steven Holl’s Chapel of St. Ignatius, a catholic place of worship that referenced the Kabbalah’s vessels of light. If the book is unfocused, so to it tantalizes and inspires. Once grasped, Kabbalah, as a lens through which to see these projects, mesmerizes. That was Gorlin’s intent. Central Park's future will be darker. Gary Barnett, the founder and president of Extell Development Company, likely knew what he was getting into when he showed up to a recent town hall on super-tall skyscrapers rising in New York. The hundreds of people who crowded into a room at the New York Public Library were not there to praise these soaring towers. They were there to see what could be done to stop more from rising. The town hall, which was organized by Manhattan Community Board 5, was focused on the long, dark shadows that these new buildings will cast deep into Central Park. Barnett’s company is behind two of the projects, but on the rainy February night, he was the face of all of them. Simulated view of how shadows will hit the park at approximately 4:00p.m. (left) and the shadows today (right). One of Extell’s towers is the nearly completed Christian de Portzamparc–designed One57, which is already blocking sunlight in Central Park. A panelist at the event, journalist Warren St. John, has experienced this firsthand. He told the crowd about the shadows that fell across the park as he tried to play with his daughter on a recent afternoon. St. John called for an immediate moratorium on this new generation of tall towers so the city, and public, can debate the approval process for these types of projects. “Once we have done that, we’ll come to a long-term plan, and all these trade-offs can be accounted for and debated; but what we shouldn’t do is sit around and debate that while the buildings go up,” he said. Left to right: 432 Park by Rafael Viñoly, 215 West 57th by Adrian Smith + Gordon Gill Architecture, One57 by Christian de Portzamparc, SHoP's 57th Street tower, and a montage of how the towers will look along 57th Street. He described what’s happening as “the debasement of a great public resource used by millions for the benefit of an elite few.” And this “debasement” will only get worse; because, at a mere 1,000-feet, One57 will soon be dwarfed by the glass giants rising around it. A recent report by the Municipal Art Society called “The Accidental Skyline” predicts the impact these new structures will have on the park. 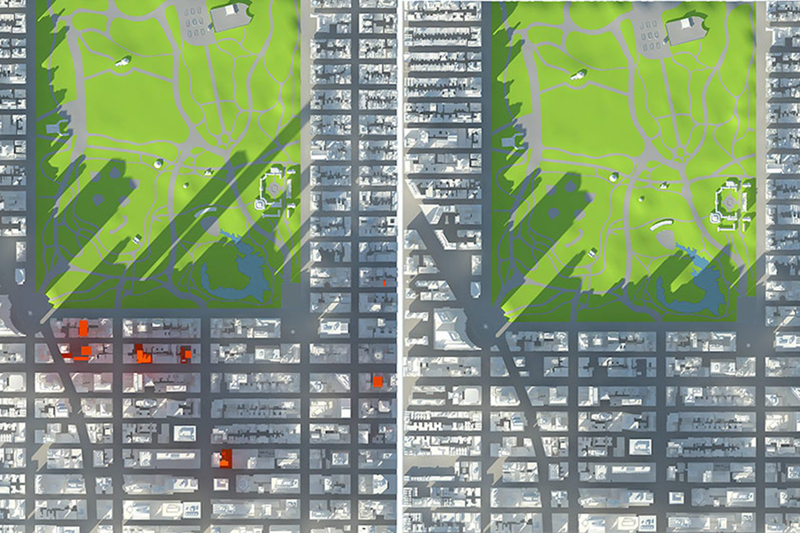 Central Park’s future will—quite literally—be darker. Massing diagram showing the new super-tall towers from Central Park. At the town hall, Margaret Newman, the society’s executive director, presented dramatic images from the report, which showed the park’s shadows before and after the towers are completed. Central Park has, of course, had shadows at its fringes for decades, but the coming towers will lay them deeper within its leafy confines. After the panelists decried Barnett’s buildings for their height, shadows, lackluster design, and for catering to the global elite, Barnett got his turn at the mic. “My name is Gary ‘I’m a glutton for punishment’ Barnett,” he said to a smattering of laughter. Considering the crowd, the joke landed pretty well. As expected, he defended his company’s buildings saying they would create jobs, economic benefits for the city and state, and he rebuked claims that his buildings were unattractive. “Art is in the eye of the beholder,” he said. Simulated view of how shadows will hit the park at approximately 1:30p.m. (left) and the shadows today (right). He did not specify when the right time would be. 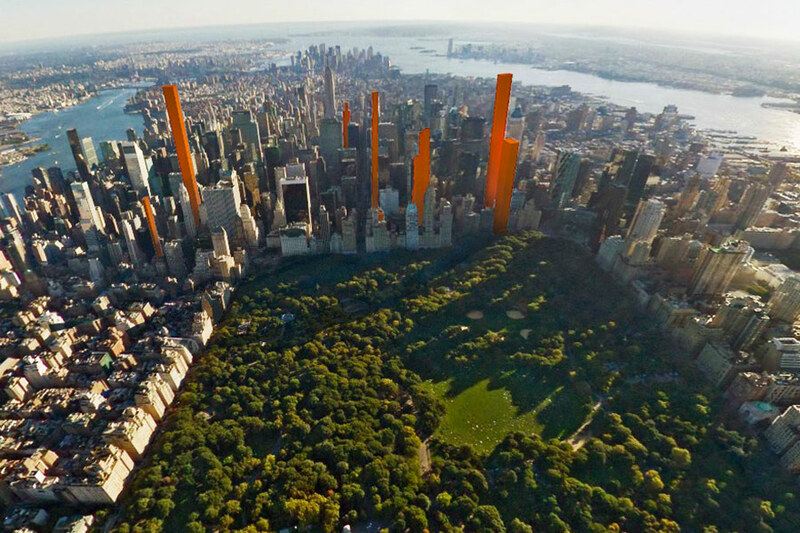 While the height of these new towers is unprecedented, the fight over shadows in Central Park is not. In 1987, the Municipal Art Society (MAS) and Jacqueline Kennedy Onassis led a group of 800 New Yorkers into Central Park to protest a planned Moshe Safdie-designed tower at Columbus Circle. It was known as the “Umbrella Protest” because the crowd stood in the park and simultaneously opened umbrellas to show where the building’s massive shadow would fall. This protest, along with a lawsuit from MAS, was, at least partially, the reason the tower was never realized. In its place, came the shorter, glassier Time Warner Center. 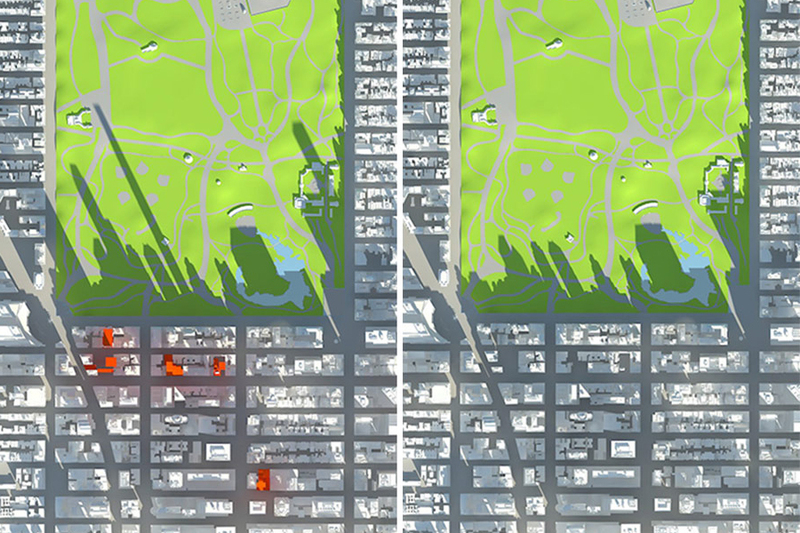 Simulated view of how shadows will hit the park at approximately 12:00 (left) and the shadows today (right). 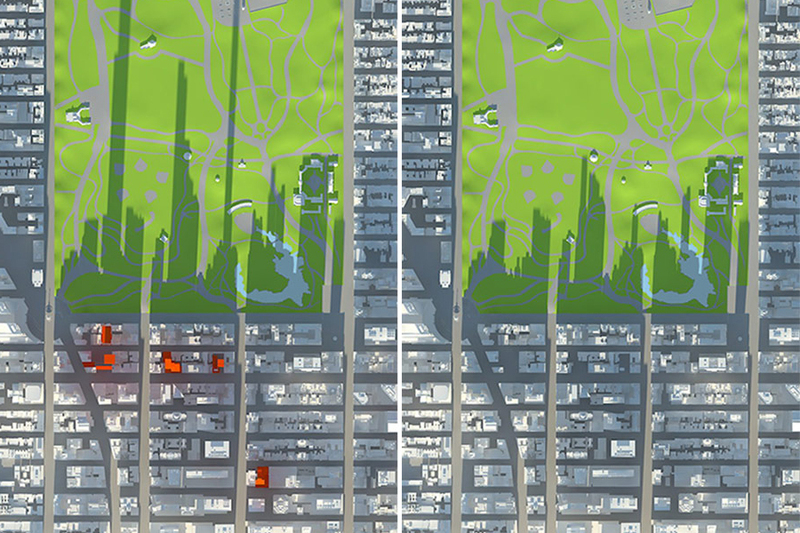 So what can be done today to block more shadows from encroaching on Central Park? The panelists called for more public review of towers. They also wanted changes to the city’s planning and zoning codes to prevent more super-tall structures from rising alongside the park. The idea of adopting anti-shadow ordinances similar to the ones in San Francisco and Ft. Lauderdale was also floated. For Peg Breen, from the New York Landmarks Conservancy, the issue surrounding super-tall towers is about more than shadows; it is about what the future of New York should look like. She warned against the city growing taller just to catch up with cities in China and the Middle East. If that happens, she says, New York could lose its iconic stature. In November, LA’s Skirball Cultural Center opened the exhibition Global Citizen: The Architecture of Moshe Safdie. The show presents a sprawling survey of the architect’s work, from his early experiments in housing, most famously Habitat 67 in Montreal, to his recent mega-scale projects in Asia. 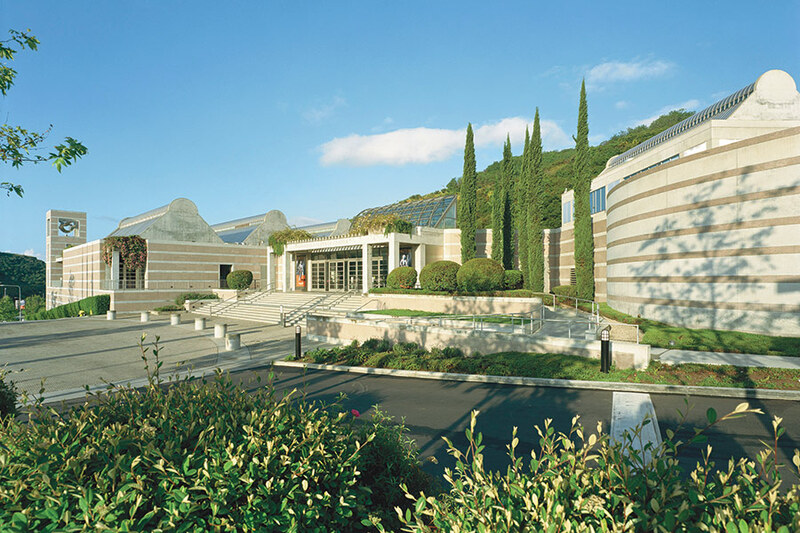 Safdie has been designing the Skirball, meandering its way west of the 405 Freeway in the Cahuenga Pass, over the past 20 years, and its construction was finally completed this fall. Safdie sat down with AN West editor Sam Lubell in one of the center’s sun-filled courtyards to discuss the show, the museum, and the long arc of his career. Sam Lubell: What I’ve seen through this exhibit, and through seeing your work in general, is a kind of astonishing diversity. How do you keep managing to change things so much and to reinvent your architecture? Moshe Safdie: I think it happens because I change the kind of project I’m working on, sometimes by circumstance and often by choice. And I change geography. So the context, the program, the type of project, and the place all keep changing. I suppose if I was building all of this in one place, in one country, and I was focusing on a particular building type, like a lot of practices, it wouldn’t happen… I think that it’s the diversity of assignments and places that leads to the diversity that you see in the exhibit. I think it informs me, and it enriches the work. It seems like geometry is something that has very important value in your work. Do you do a lot of formal studies when you’re developing new geometries? 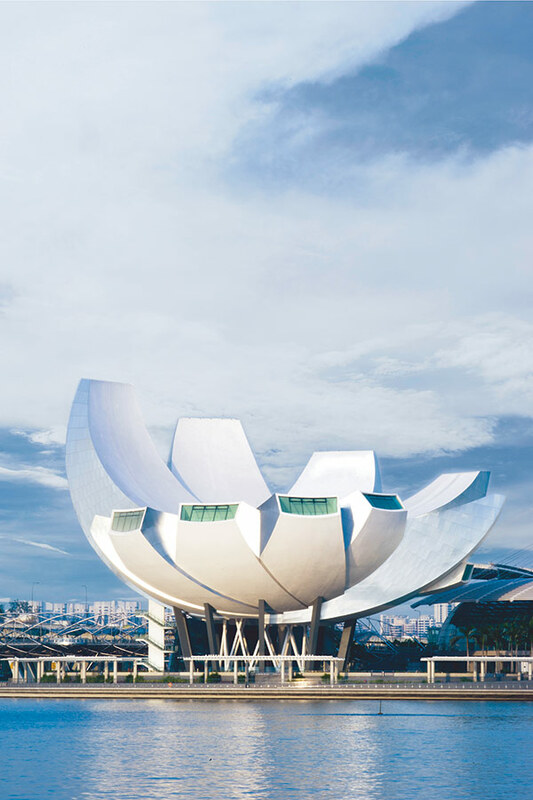 Yes, more and more so for the more complex buildings that we do, like the ArtScience Museum in Singapore. I find that geometry helps you generate schemes, but also to order them, to give them a logic; a structural logic and a construction logic. 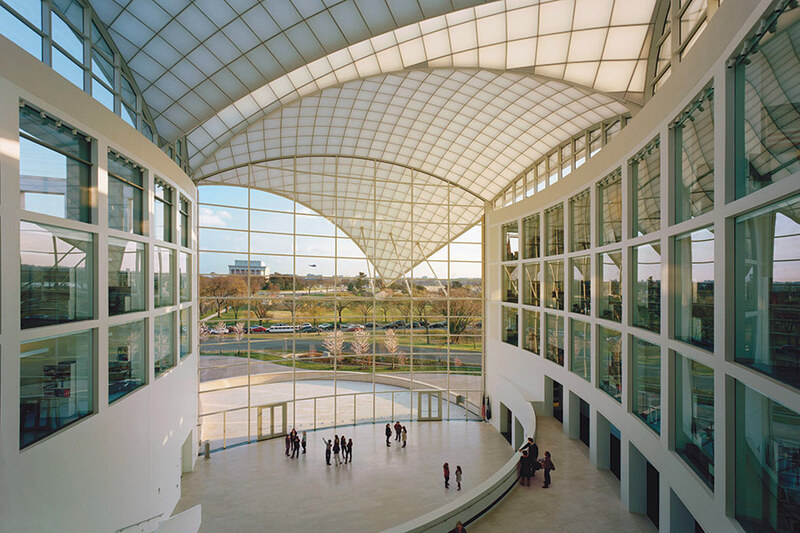 So often these geometries, like the roof of the United States Institute of Peace, in which the glass roof sort of floats—could not have been built economically if it wasn’t for the fact that eventually we decided to generate it out of a sphere. With a lot of your work, like here at the Skirball, with the forms and the way that you progress through the space and the landscape, there’s a sense of poetry, and there’s a sense of just letting the elements, and the shadows, really speak for themselves. It seems like that’s different from a lot of architecture now, which is very aggressive and very technology-formed, and less about being a sort of poetic, contemplative space. Can you speak to that? Well, I think that there are others who are seeking poetics through simplicity. I would mention Zumthor for example. And some of Renzo Piano’s work seeks poetics through simplicity. But I would say that, certainly in the Skirball, and its predecessor in my own mind, the Hebrew Union College, there is an attempt to achieve richness through a great simplicity of form. There’s nothing screaming at you here, it’s just very much about fitting into the land, and light, and shadow, and plant life. And that is why it lends itself to such a rich community life, because people enjoy being in it but they’re not intimidated by it at all. It’s not the big forms that jar, bang bang bang, and then you’re conscious of their presence, and they’re overbearing, and they tell you all the time, “We’re here, take notice.” This building is not about overwhelming anybody. The other thing I noticed is that you have an intuition about landscape and building, which is something that I think is lacking here in California in a lot of cases. I’ve worked with a lot of gifted landscape architects. I’ve worked with Larry Halprin, Pete Walker. In Israel, Shlomo Aronson. In each case it was a true collaboration. In other words, it’s not that architecture stops and landscape takes over. There’s no such line. I conceive of building and landscape as one. And then the landscape architects and I work together in very much a tango or a dance, it’s like that, you know, because it’s a collaboration, because it’s part of the architecture. In a lot of the projects in the show there is a focus on urban rooms. I’m wondering how that sort of idea progressed. 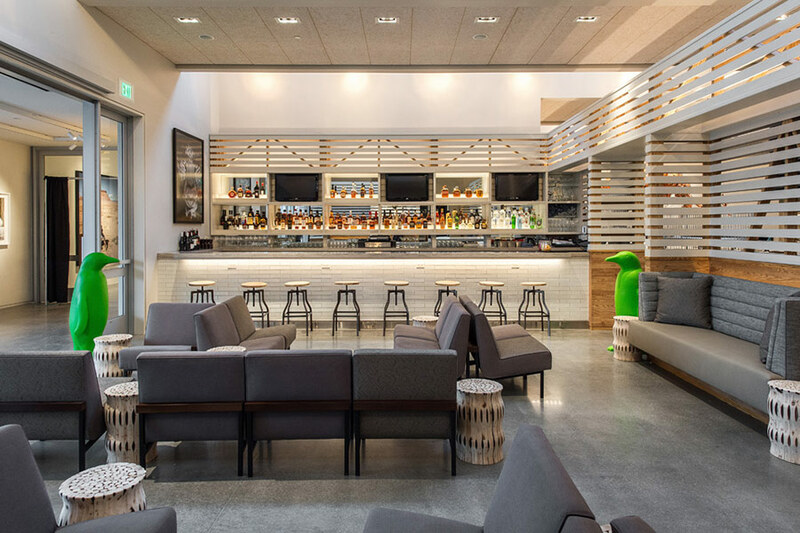 The urban room as a concept began when I worked on the Vancouver Library. They said, “We don’t want this to be just a library, but we want to create a place where you can come, have a cup of coffee, you can buy some flowers, you can read the newspaper, you can go into the library, you can get a book, you can bring it out, and it’s open all the time.” So we created an urban room. And then I realized, that’s what most public buildings miss. They have a control point, you pay admission, you go through security, and you’re inside. But what if you could have a kind of in-between zone, which anybody could go in to? And then, if you want to go and see a fancy exhibition, then you go through another control point. Another thing that’s common in your work is the use of metaphor and symbolism. I never talk about it. I never prescribe it. At Yad Vashem [Holocaust History Museum in Jersualem] I never said anything about symbolism. I did say that at the end of the exhibition I wanted to have a reaffirmation that life prevailed, that is true. The arrival building has a lattice, and the light coming in from the skylights is completely striped because of the lattice. So when you’re walking through it’s striped on you. The guides like to tell people that I designed it so that they will feel like they are the prisoners in the camp. And that’s their invention, not mine. I just wanted soft light that sort of dematerializes everything before you go into the museum with its horrible story in there. It seems like it can be a challenge, like you said, to reinvent your style over the years. 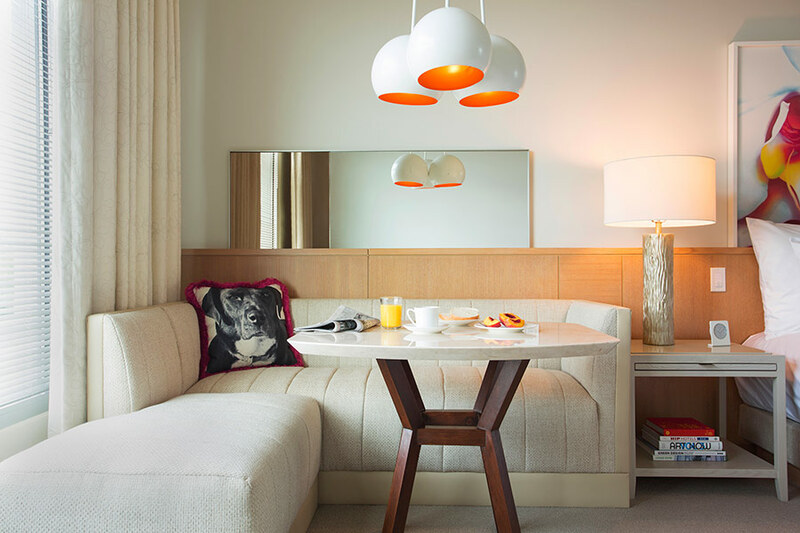 But it also seems like a challenge for a project that extends over twenty years—like the Skirball—to keep that fresh as you move along. To keep the same master plan, but somehow keep it feeling of the time. That must be a problem, a challenge. There were moments, like in the last phase, where I was thinking, “Do I need to really break away in terms of the palette?” But I resisted it, because I thought the most important thing is to make the whole place feel like one whole. And had I done that, it would have been more of a personal obsession than a thing that responds to what the place wants to be. And so in some ways I resisted going to areas that might have interested me at this point in time, but I thought they would be a necessary, kind of, breaking away from the character of the place. Skirball Cultural Center, Los Angeles. So what’s the next phase? What’s next is we have a lot of work in Asia. Almost all of it. All of it very dense, very large-scale. We won a competition for the new center of the Singapore airport. It connects all the terminals, and it’s got a great garden, and shopping, and other services. It’s an idea that an airport is already almost like a mini city. So you create the kind of center for that. And in Chongqing, which is the biggest city in China, if not the world, we’re doing a 10 million-square-foot mixed-use project. It’s the new scale of megacities. And we’re also having for the first time an opportunity to build large-scale residential; in Colombo, in China, in Singapore. And many of the ideas of Habitat, and even the studies for Habitat of the future, which are in the exhibition, have been spinning off into these projects. So it sounds like, in that respect, something that you were working on, you were starting, forty years ago, is now finally happening? It’s true. In some ways you walk into the office and it looks like we’ve gone back forty years. That must be exciting, though—something that you may not have thought would ever really materialize. I never thought it would happen, that’s true. I almost gave up. How do you adapt that to current conditions? Just go with it. You adapt the concepts. Of course the densities are greater, and mixed-use is part of the formula. And their ideas of industrialization are no longer synonymous with prefabrication. The emphasis is to achieve an optimization of mixed-uses, placing offices and commercial space at the lower levels, giving housing the advantage of air, light, and view above. It also, given the constraints of density, puts an emphasis on providing community open-garden spaces within different levels of the development in addition to the private gardens provided to some of the residential units. I think they’ll be industrialized, but whether they’re prefabricated as panels or boxes is a moot question at this point. It’s more, how do you assemble manufactured components? And I’m not sure that means three-dimensional components. That’s what we’re exploring right now, trying to understand, because there are so many new production techniques. After the success of Habitat the expectations on you must have been higher than any architect ever. Has that been difficult to manage over the years? It’s been difficult to manage. I used to get irritated by the prefix “best known for Habitat 67” forty years after the fact. But there’s less of it now, I guess. People talk about balancing popular appeal with critical appeal. Is that something that you think about when you’re designing? I don’t think about it. I become aware of it after, that the public, what the public loves, usually the critics tend to hate. And I know I’ve spent a lot of time wondering why that is so. But it’s not something that I think about when I’m designing. I’m just doing my thing. I’m not thinking of the public or the critics when I’m designing. Well, it seems the thing that really drives you the most is the ability to change how people live, change cities. It’s what gives you satisfaction, that’s for sure... If you go through the exhibition, about half of what’s exhibited is unbuilt. But I definitely think I’ve had extraordinary opportunities. And they continue to come. And even though there are many disappointments of things you don’t build—I think that would be totally frustrating if that happened all the time. You can lose some things that you have a lot of affection for when you have an opportunity to realize others. False Solution, the final play in Oren Safdie's trilogy (Private Jokes, Public Spaces and The Bilbao Effect) on contemporary architecture is finally set to take the stage on June 13th in New York City. The play will be followed by an official press opening on June 16th at the off-Broadway experimental theatre, La MaMa ETC in Manhattan. Oren Safdie, son of internationally esteemed architect Moshe Safdie, is a Canadian-American-Israeli playwright with a strong background in both architecture and fictional writing (he graduated with a Master’s in both subjects from Columbia University). Even after having turned to a career in writing it was clear that architecture would remain flowing through Oren’s blood. 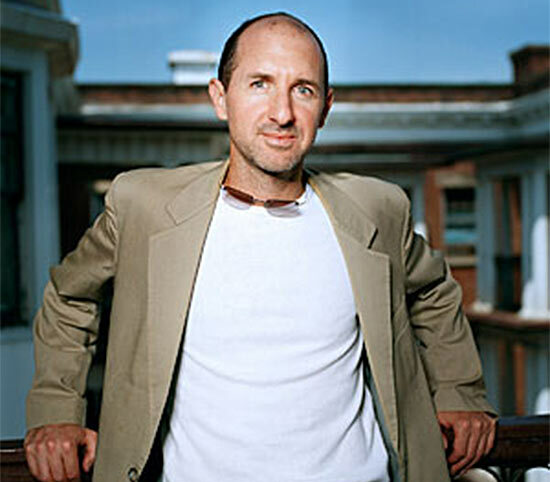 Both of Safdie’s earlier works Private Jokes, Public Spaces and The Bilbao Effect enjoyed great success off-Broadway and received positive acclaim from play-goers and the press. His latest work False Solution tells the impassioned story of a German-Jewish architect who is tasked with the job of designing a new Holocaust museum in Poland. 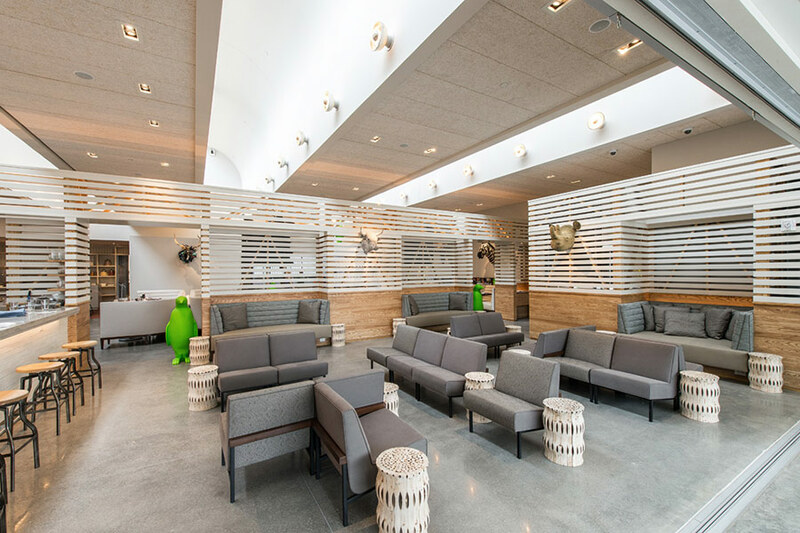 His clear vision for the new institution quickly unfurls as he spends an exhilarating night with his bold and striking intern, a first-year architecture student, who exposes him to a whirlwind of ideas and drives him to entirely rethink his design approach. As a result of their intimate night together the architect finds himself questioning everything he stands for and is inevitably forced to reflect on the roles that religious identity, sexual politics, and the effects of war play in the creative process. 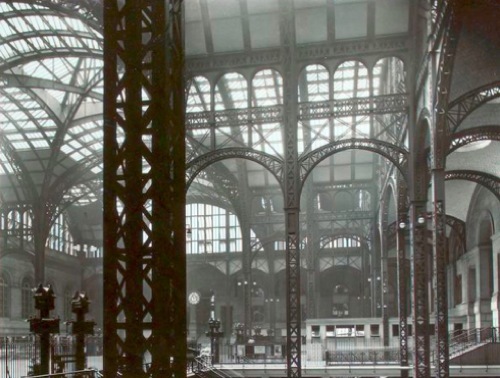 While the future of the current Penn Station will be up in the air for some time, a theater group plans to commemorate the 50th anniversary of the original Penn Station's destruction, which takes place on October 28. Taking place this fall, playwright Justin Rivers and director Barika Edwards will present The Eternal Space, a play that chronicles the demolition of the architectural monument and acts out debates over historic preservation that are still relevant today. According to the play's website, the set will transport the audience back in time: "Using the latest in projection technology, the photographs will speak for themselves making the audience feel as though they are sitting in the station itself." Present photographs are also used to create the station in its current form and to show the passing of time. Architecture and urban planning have taken center stage before in performances such as In the Footprint: The Battle over Atlantic Yards, Murder, Love, and Insanity: Stanford White and the Gilded Age, an opera about Robert Moses, and a series of plays by Moshe Safdie's son Oren.